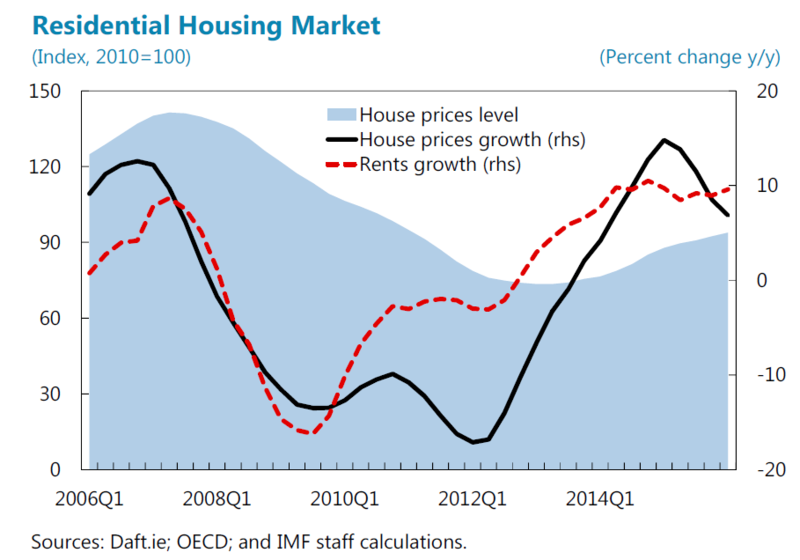 “Residential real estate (RRE) prices and rents continued to increase. Nevertheless, following the abolishment of tax exemptions on capital gains in December 2014 and the introduction of new macroprudential loan-to-value (LTV) and loan-to-income (LTI) limits in February 2015 (…), the market somewhat cooled off: RRE price growth decelerated in late 2015 and the number of mortgage approvals temporarily declined (…). 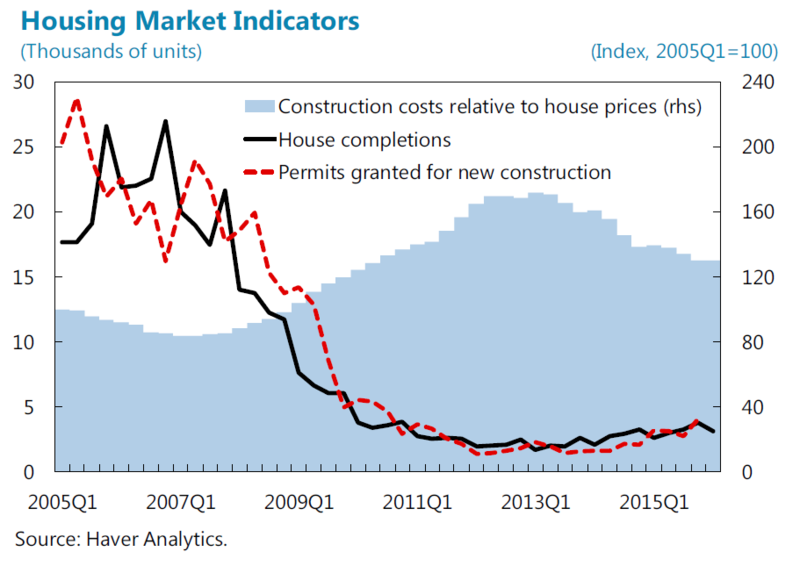 [Meanwhile,] Commercial real estate (CRE) prices rose even more rapidly. 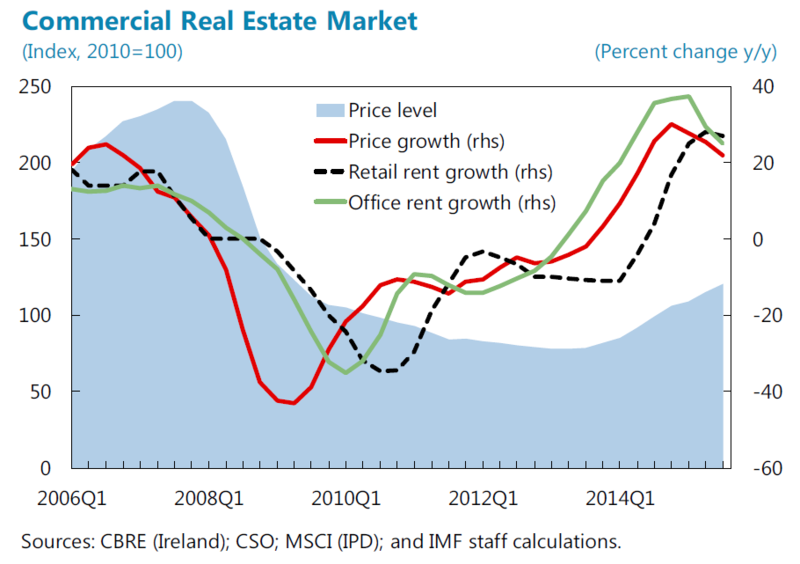 Total returns of the Irish CRE sector outstripped those of other European countries, reflecting the confluence of strong equity investment largely financed by foreigners in search for high yield, and still limited new construction”, says IMF’s report on Ireland. There is also a separate report on commercial real estate.